I hope she doesn&apos;t tell him anything about me and her getting married. I mean, he probably already knows but, I don&apos;t want the kid anymore depressed than he already is. Maybe, he will get some help and by the time me and (Y/N) get married he&apos;ll be better and able to come at the wedding. I mean, I don&apos;t really know the kid but, he seems to be close with (Y/N) so it might make her happy. "Brendon, do you know who your gonna make your best man?" Tyler asks and I shake my head. "Oh no, don&apos;t you guys start this. I haven&apos;t had any time to think about this and its probably going to be someone from my own band." I snap a bit and rub my temples a bit stressed from all the stuff going on. "What about someone that used to be in your band?" He asks and I look at him confused. He walks over and sits next to me showing me his phone. Its on Ryans twitter. I look at it confused but start reading his latet post. Hey! So I just heard that my old friend is getting re-married! Congrats man! I&apos;m so happy you have moved on from you know who. We should hang out together. I mean, after tour ends of course. Its been a while and I hope there are no hard feelings from the last time we met...Anyways, hope to see you and your fiancé soon! And he had tagged me in the last part. Ok I have to admit, I was pretty happy that he wanted to meet up, especially after what happened last time. "Brendon, what did he mean no hard feelings? What happened last time you guys had met?" Josh asks. I blush slightly thinking of it. "Its a long story guys...Plus its kinda personal...Id rather not talk about it" I say and (Y/N) begins walking out of the bathroom. "RYDEN EXSISTS!!!!" Tyler shouts and (Y/N) looks at me confused and chuckling a bit. "Guys, Ryan left years ago" She says still chuckling and I&apos;m blushing and looking down. "Were going to meet Ryan soon...." I say quietly as (Y/N) walks over sits in my lap. "Well I&apos;m glad I get to meet him" She says kissing my cheek. I smile and kiss her and hold her tight. I hope things don&apos;t get out of hand like they did last time. I start looking through my contacts to try and find Ryan&apos;s contact. About 5 minutes go by and I find him. I hesitate but press the green phone button and bring my phone to my ear. I listen to the phone ring a couple times till it picks up. "Hello?" I hear his raspy voice echo through my phone. "Uh hey Ryan..." I say nervously. 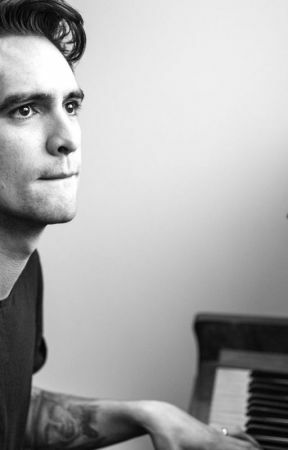 "Brendon! Hey! Oh my gosh. Its been so long since I&apos;ve talked to you! So how&apos;s it been going man?" he asks clearing his throat. "I&apos;ve been better. Hearing your voice Is kind of a relief." I say but then realize it sounded kind of weird. Ryan chuckles and agrees. "Yeah, so when do I get to meet this fiancé of yours?" He asks. I look over to (Y/N) and put Ryan on speaker. "You can meet her now, your on spaker and she is sitting right next to me." I say "Hey! (Y/N) right?" He asks and (Y/N) blushes and I can tell she is trying to not go all fangirl crazy on him. "Y-yeah, that&apos;s me. R-Ryan right?" She asks but face palms herself. "What am I saying, of course its you, s-sorry. I&apos;m not that s-smart" she says and I glare at her. "Don&apos;t say that" I say and kiss her cheek. "We&apos;ll talk about that later Bren, just not while were on the phone, ok?" She asks and I blush. I don&apos;t know why, I mean, shes called me that before...right? "Fine" I mumble and lay my head on her shoulder. "So, when are you guys getting married?" Ryan asks and I shrug my shoulders. "I don&apos;t know. We haven&apos;t had time to talk about it. But sometime after tour. And when would you like to get together?" I asks an (Y/N) gasps. "I have an idea!!! What if we have like, a summer party? And invite Tyler, Josh, Pete, Patrick, Andy, Joe, Ryan, and more?" She suggests and Ryan agrees. "That sounds like a great idea!" He says and I nod my head. "Yeah, it does because my baby is smart" i grin at her and she rolls her eyes. We all get ready for bed and I lay in my bunk with my sketch pad. I start sketching a pic of Ryan and Brendon from when they were still in the band together. &apos;was Ryden real?&apos; I keep asking myself before I slowly drift to sleep till I feel someone climb In bed with me which makes me shoot my eyes open but I realize its just Brendon. "Hey Bren" I say snuggling up to him. "Hey baby" He says and holds me tight. "I love  you" I say closing my eyes once again, slowly falling asleep. "I love you too" He says lightly kissing my head and falling asleep to. A/N: Hey guys! sorry I&apos;ve been gone for so long but I&apos;ve had a lot going on and I haven&apos;t had time to write anything. 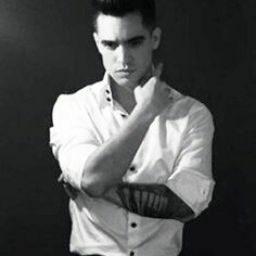 But comment and say what you think the thing was that happened with Brendon and Ryan the last time they had met, also what you think is going to happen when they meet again. Or tell me what you want to happen. Thanks! Also leave other suggestions for me for either other books or what should happen in this book. I&apos;m open to requests for anything!